What are the best financing models for your business? What are the most effective ways to finance technology development through the long lifecycle? How can you prevent promising technologies from withering on the vine? Technology start-ups, firms experiencing growth, and other businesses seeking capital will have these questions and others answered at this special two part event. 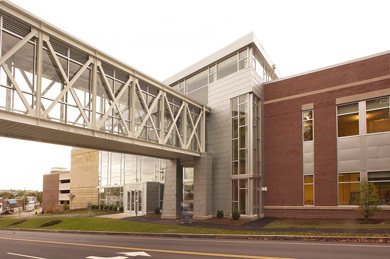 Investment and finance professionals will provide current and relevant information about the state of investing in Maine, private and public commercial lending opportunities, and the availability of grants for businesses. Financing beyond conventional bank lending-- Mike Finnegan, Coastal Enterprises, Inc.
Paul Scalzone, Workforce Solutions program, Coastal Enterprises, Inc. Entrepreneurs: What sources of funding are available to grow your business? Companies looking for solutions: How can you partner with startups to help you both prosper? Investors: Where will you find long-term assets? 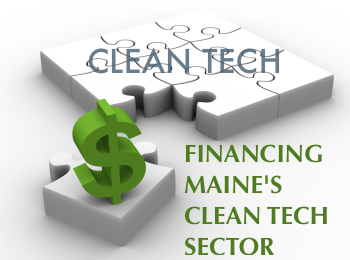 Venture capitalists and private equity investors: How and where does it make sense for you to play in clean tech?